About as birdseye as I can get. GMS Grand Master Series Titanium with various Paiste model cymbals. Last gig. Good time had by all. Same here maybe the Russians or Chinese hacked the pdf and have all our pics. I can’t post either. Fatal error. I can see the kits through Dale’s. Can’t see Dylan’s. You need more drums and cymbals. I don’t like the minimalist thing you have going on. I'll see what I can do. I made some small changes since then, different snare and a second set of hats. Glenn and Cam, those are some great looking kits! I am glad to see this new thread has begun! the newest bird's eye I have on hand. 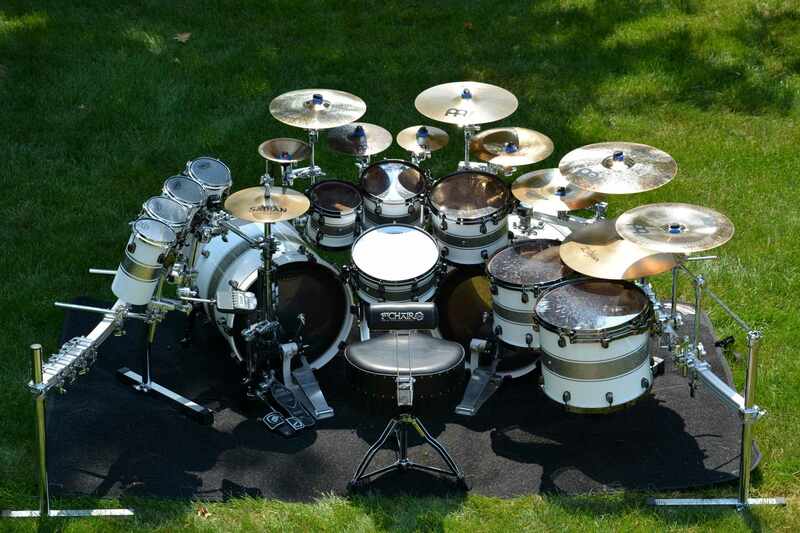 That is the best set up kit I have ever seen. JUST enough drums and JUST enough cymbals... a lot, but not obscene with percussion overkill. Frigging EXCELLENT!!! I’m still getting the fatal error message when I try to upload a picture.